Warm up any space with the sleek and sophisticated WM-BI-34-4423, featuring temperature maintenance controls and the ability to add a back lit glow in your choice of 13 colours. 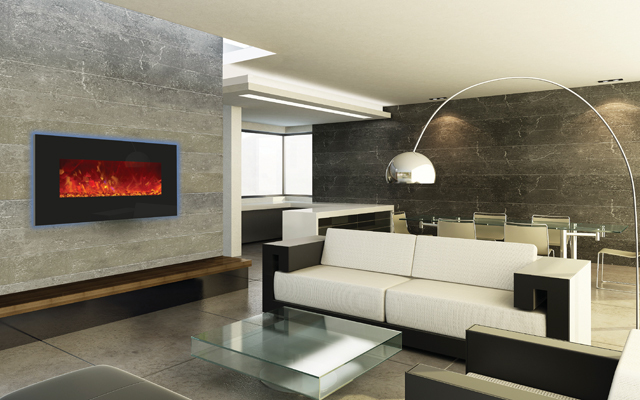 This stylish electric fireplace will add a touch of elegance to a space by day and a splash of colour by night. This unit can be wall mounted or built-in to the wall for a more custom look and finish. Comes standard with three colours of decorative media and an LED ember log set in the box.